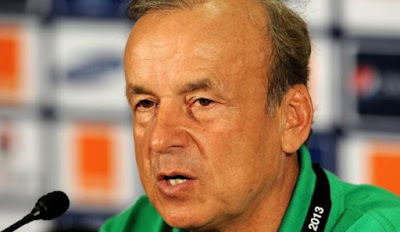 The head coach of the Super Eagles, Gernot Rohr, has rejected the proposed plan by the Nigeria Football Federation (NFF), to move the 2018 World Cup qualifiers from the Godswill Akpabio Stadium in Uyo. The federation cited logistics and attitude of the crowd, as the reason why they want to move the Eagles’ home games, amid reports the stadium has been placed under a spell by aggrieved residents, who are claiming the land was forcefully taken away from them to build the stadium. Nigeria lost their last game at the stadium to South Africa 2-0, in their first AFCON 2019 qualifier. Their next competitive game which will be against Cameroon in the race to be at next year’s World Cup. Rohr has called on the NFF to stick with Uyo, as a change of venue might affect the psychology of his players. “I am in constant touch with the team’s captain, Mikel Obi and other senior players and they all agree that the team remains in Uyo to finish all qualifiers. Changing the venue will put the boys under pressure. The players are at home with Uyo fans,” Rohr stated.